*Prices are valid for flight ex Sydney, Melbourne & Brisbane. Add $120 per person ex Adelaide & Perth. 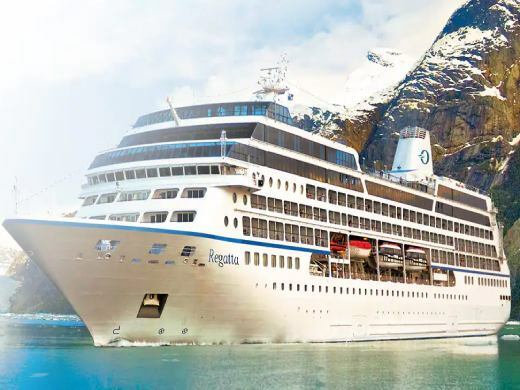 The Regatta offers incomparable luxury, including cuisine that is simply the finest at sea. With only 684 guests to pamper, the 400 staff members cater to your every whim, with highly personalized service. There’s a sense of warmth and intimacy throughout, so the ambiance resembles that of a private country club – casual, yet elegant. Imbued with a warmth and intimacy rarely found at sea, the atmosphere aboard Regatta is reminiscent of an upscale, private country club. This is casual elegance at its finest. Relaxed. Comfortable. Unpretentious. Although highly sophisticated, the ambiance is devoid of formality, so you can leave the tuxedos and evening gowns at home. Just bring a desire to enjoy life at your own speed, on your own terms. The recently renovated Fairmont Olympic Hotel has redefined sophistication. Built in 1924, Seattle’s premier hotel offers nearly a century of luxury standards, melding classic elegance with midcentury modern room décor. New rooms and corridors, as well as an updated gym, makes this classic a must-experience hotel in Seattle. In addition to being Seattle’s most historic and recognizable hotel, Fairmont Olympic is also a local favourite for dining in Seattle with two award-winning restaurants.